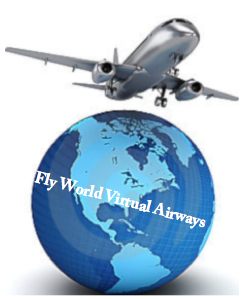 Fly World Virtual Airlines was created on July 20, 2014. Its main and only HUB is located in Miami International Airport (KMIA). We are a fleet of 737-800 and fly in Florida for now. Our fleet operates service to Orlando Fl and Key West Fl. We also have charter flights to Havana, Cuba. Join our fly world team click the sign up button in the pages bar. This is a new virtual airline and will like to expand in the future.